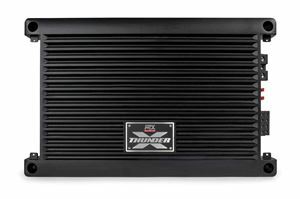 The XTHUNDER Series amplifiers from MTX Audio are designed to provide high power to your high performance SuperWoofers and high end speakers. 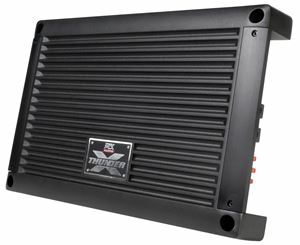 These models feature a cast aluminum heatsink that efficiently dissipates heat away from critical components enabling them to play louder and longer. 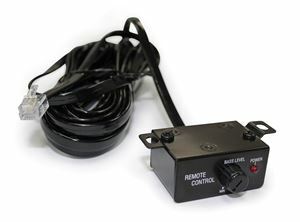 Each model includes a dual sided circuit board that utilizes surface mount technology to secure the components to the PCB making them highly vibration resistant. 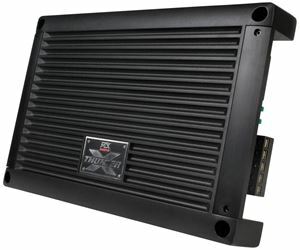 All models use the same low-profile chassis making them ideal for flush mounting in custom installations. Removable endcaps enable making connections easy and provide a clean aesthetic when reinstalled. The series features a class A/B 4-channel that is capable of delivering up to 125W RMS power at 2Ω per channel, a full range class D 5-channel model capable of delivering 100W per channel full range and 400W to the subwoofer output at 2Ω, and two mono blocks capable of delivering 1200W and 1500W respectively at 1Ω.